- Dario ff's SonicGMI modified to load LW stages (alternatively). - A LEGIT copy of Sonic Lost World. Alternatively, you can load up mods using SonicGMI modified to play LW mods. 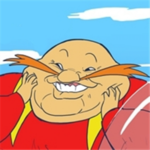 Refer to "How to play Sonic Generations mods" thread for SonicGMI usage tutorials that can be found within Sonic Generations mods boards. A last alternative method is to use CPKREDIR by Korama. This method works on both legit and pirated versions (however I do not recommend piracy).